Inspector Baynes is absolutely unique among all the representatives of the official police to appear in the Canon, for whilst in all the other cases where they appear the police are pushed firmly into second place by Holmes, in WIST Holmes is completely outclassed by Baynes. Unfortunately he is not given full credit for this because, of course, he does not have a loyal Watson to record his exploits. It is the purpose of this piece to reconstruct Baynes' handling of the investigation using Watson's account of the case and a healthy dose of common-sense. We know from Watson the details of Baynes' initial investigations. He studied the body of Garcia and was able to determine his identity, address and the connection with Scott-Eccles from a note found on it. He was also able to determine an approximate time of death, using a method similar to that used by Holmes in discovering the murder weapon in BOSC. Baynes then states that he wired Inspector Gregson in London to run Scott-Eccles down whilst he proceeded to search Wisteria Lodge. How did Baynes know that Scott-Eccles would be in London? It is just as likely that he would still be in the local area, or if he really was guilty of some crime, had fled hours before in some other direction. What probably happened was this. Baynes went to Wisteria Lodge before he wired Gregson and discovered that someone had been there up until a very short time ago. We know this was true because Scott-Eccles states that he woke just before nine, yet Baynes arrived at Wisteria Lodge 'after nine' and found it deserted. Therefore Baynes only just missed Scott-Eccles. He then made enquiries at the station where some railway official, who no doubt remembered Scott-Eccles from the previous night , told the inspector that Scott-Eccles had just caught a train back to London. It was at this point that Baynes wired Gregson, before returning to Wisteria Lodge. Baynes then made a thorough examination of Wisteria Lodge, finding the bizarre items in the kitchen and the discarded note in the fireplace. When he showed the note to Holmes he had already made a string of observations and deductions concerning it; Holmes' own additions were pretty irrelevant and were probably only an attempt by him to save his wounded professional pride. Despite the deductions, Baynes claims to have made nothing of the note, apart from the fact that 'something was on hand and that a woman, as usual, was at the bottom of it.'. This was, however, a mere bluff on his part. His keen mind was already pondering the significance of 'our own colours, green and white' bearing in mind that Garcia was a foreigner. He had also probably concluded an assignation in a local, large house and had sent for a list of suitable properties and owners before he came up to London to rendezvous with Gregson. Holmes himself, when he receives his list of houses says that Baynes would have already adopted this plan. The next step of his investigation we can move over fairly quickly, as it concerns his visit to Baker Street and the interview with Scott-Eccles. This is all recorded in Watson's account of the case. Baynes' next important lead was on his return to Wisteria Lodge with Holmes and Watson. The constable on duty at the Lodge described a fearful apparition he had seen at one of the windows. Notice how Baynes seems to attach little importance to this incident, but he had no doubt recognised the description as being that of Garcia's mulatto cook. He then goes on to show Holmes and Watson the curios items in the kitchen; items that, given the mundane nature of the other objects in the house, were quite probably connected with the return of the cook to Wisteria Lodge. Whilst he probably did not have any real idea that the curiosities in the kitchen were connected with voodoo ritual he realised that the mulatto might make another attempt to recover them. At this point Baynes and Holmes agree to work separately from one another. Watson states that Holmes was on a 'hot scent'. What he fails to realise is that Baynes is on a scent which is hotter and that he has a plan of action already mapped out. Baynes' plan was to wait for the return of the mulatto and ambush him. Knowing that the mulatto is a member of Garcia's household he knew that he could use him to help with his enquiries. Whilst waiting for his ambush to be sprung however, Baynes followed up some of his other leads. Local enquiries would have lead him to suspect Henderson as being implicated in the case, for much the same reasons that Holmes suspected him. He probably deduced the San Pedro connection at this time; two sets of Hispanic, but not necessarily Spanish foreigners, a mulatto cook, suggesting the Americas, and the colours green and white, the colours of the San Pedro flag. Whilst this is a fairly tenuous chain of reasoning it would have acted as a good working hypothesis. After a few days the mulatto walked into Baynes' trap. The arrest of the mulatto had three purposes. Firstly, by seemingly arresting the wrong man, Baynes could make Henderson feel he was not suspected anymore. Secondly, it protected the mulatto from the same danger that struck down Garcia. Finally, it provided Baynes with information. This last point may seem a little strange for in Watson's account, Baynes tells Holmes that '[The mulatto] speaks hardly a word of English, and we can get nothing out of him but grunts.'. However, this does not mean that the mulatto is incapable of providing Baynes with information; he may not speak English, but an interpreter, Spanish rather than Greek in this case, could be sent for from London. Through an interpreter Baynes was able to placate the somewhat aggrieved mulatto and acquire the full story, including, of course, confirmation of his own suspicions concerning the San Pedro connection. The interrogation of the mulatto would have taken place at about the same time as Holmes and Watson were preparing to break into High Gable, and that Warner was rescuing Miss Burnet. The fact that Baynes was able to interrogate the mulatto explains one of the more perplexing mysterious of the case; how was Baynes able to know that Henderson was in fact Don Murillo, and furthermore trace his route across Europe, all within the space of a few days. The subject of his whereabouts had been the subject of speculation in the European press for four years and a society dedicated to Don Murillo's destruction had taken three years to trace him. Even Holmes is unaware of Henderson's true identity, although both he and Watson know of Don Murillo. However Don Murillo's enemies would, once they had found him, have been able to trace his movements since he left San Pedro and the mulatto, being a member of this group, would know much of this information. He may have been superstitious but was probably not unintelligent; a man in Garcia's dangerous position would make sure that all of his closest followers were reliable and useful men. Once the mulatto realised that Baynes was on his side, he would have outlined much of this information to him. We can see in this case, Baynes was able to equal or exceed Holmes’ investigative capabilities throughout. On a final note, it can be seen that even the greaatest success of Holmes and Watson in the case, that of rescuing Miss Burnet, was only made possible because Inspector Baynes flushed Henderson out into the open. Their plan of breaking into the house, whilst courageous, would, given the ruthless nature of the occupants probably have ended in tragedy. Baynes truly earned Holmes’ description of him as ‘ ... this excellent inspector ...’. A limerick I wrote many years ago that popped back into my head this evening whilst watching Granada's 'The Empty House'. Or do you pronounce it Lestrade? Over the weekend I finally finished reading the Canon. Well, I say 'reading'; what I mean is 're-reading' because, obviously, I've read all sixty Sherlock Holmes stories a number of times. 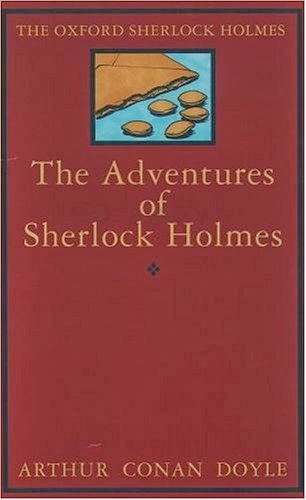 Indeed when I was younger, and less tied down with children and such, I used to make a point of reading the Sherlock Holmes stories once a year, just to keep them fresh in my mind. It's been a while since I last read a Holmes story. In fact I'm not sure of the last time I did so. Fifteen years, maybe more. So back at the beginning of January I decided that it was time to read them again. I was off on a camping holiday, and looking for some reading to take with me, and packed the 'Adventures' and 'Memoirs', reasoning that they would be enough to see me through a week. I finished them when I got back, then did 'A Study In Scarlet', 'The Sign Of Four' and 'The Return', before moving on to 'The Hound of the Baskervilles', 'His Last Bow', 'The Valley of Fear' and finally 'The Casebook'. As you can see I didn't quite read them in publication order, but almost so. I read the Oxford edition, because whilst my venerable copy of the 'Penguin Complete Sherlock Holmes' is more convenient, it's heavy to carry around (I like to read on the train, and also read in the park at lunchtime) and the print is getting a little small for my ageing eyes. So, thus far I seem to have done little I've done before. However this time I found I was reading the stories as stories, and that was a new experience. You see, not long after I first read the stories I got sucked into the world of Holmesian societies and scholarship. So every time I read a Sherlock Holmes story there was always part of my mind that was pondering whether the dates were correct, or where Watson's wound was. I was always reading them as if it were for a test. Not this time. This time I just enjoyed them for what they were - stories. I savoured them; enjoyed the language and plots. And I found that I enjoyed them more than I had done for a long time. What was interesting was that stories I didn't regard that highly read far better when I wasn't rating each one in terms of canonical and scholarly interest. And age seems to have mellowed me as well; stories I regarded as rather average when I was younger improved greatly when read by my older self reading for pleasure rather than intellectual gamesmanship. So take the challenge. Ignore the scholarship. Cast it aside. Just read the stories. And enjoy them. I realise that when I introduced this blog in my first posts I neglected to say why it's named the way it is. So let me rectify that. Back in the early 1990s, Catherine and I were part of a society that encouraged people to set up their own local or specialist sub-groups. We thought that this might be fun, so we did so. Looking for a slant we settled on a group that covered our local area, but which also specialised in canonical natural history. Both of us are graduate biologists, so it's an area we both have an interest in. Looking for a suitable name, we settled on 'The Head Llamas' (derived, of course, from Doyle's error in EMPT). I can't say that we ever really got into our stride on the natural history front, but we organised various meets, predominantly at museums in London, and one very enjoyable one looking at canonical locations in Woking (the results of which will be published here at some stage). 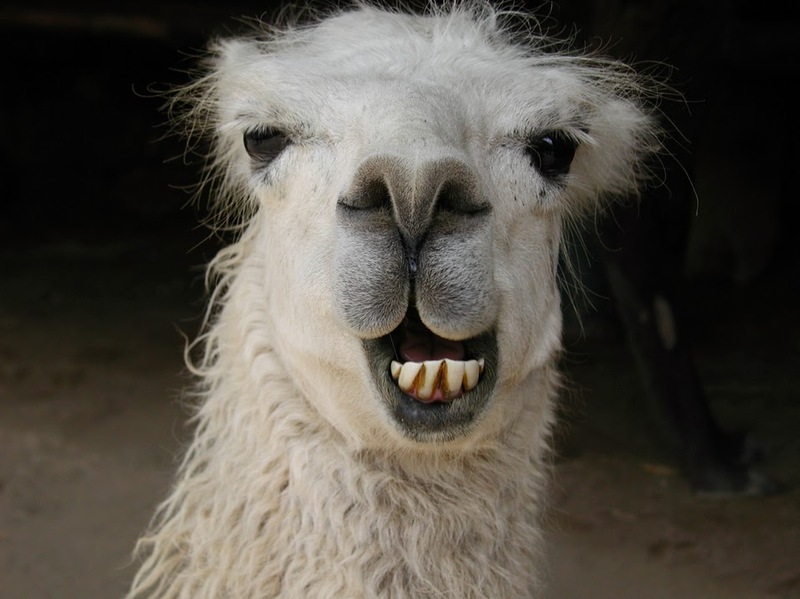 As previously stated, life intervened and our Holmesian activities declined, and with the The Head Llamas. But it seemed a suitable banner under which to post the articles I wanted to share. So that's what you get. (This piece, written by Alan Saunders, was originally published in 'Llama Droppings', the newsletter of The Head Llamas). The year 1894 was a busy one for Sherlock Holmes, indeed Watson records that the accounts of their activities for that year filled ‘..three massive manuscript volumes...' (GOLD). This is all the more remarkable since Holmes was only active for about three-quarters of the year, the Great Hiatus did not end until the early spring. Cases we have on record from this time include EMPT, NORW and GOLD. In addition to these Watson mentions, but does not record a number of other cases. In GOLD we have the '… repulsive story of the Red Leech and the terrible death of Crosby the banker...'; '...the famous Smith-Mortimer succession case...' and '...the tracking and arrest of Hunt, the Boulevard assassin...' (which earned Holmes the Legion of Honour from the French government). In NORW we find mentioned the case of the '...papers of ex-President Murillo...' and the '..shocking affair of the Dutch steamship Friesland..’. An active year for the newly returned detective indeed. A recent visit to Woking has, however, stimulated some thought on one other case from 1894 which Watson notes but does not record the fill details of. In GOLD we are told of the '...Addleton tragedy and the singular contents of the ancient British barrow ...'. Although it is possible that Addleton is a family name, it is more likely in this context to be the name of a place; a town or village. Not surprisingly, an examination of the atlas will show that there is no place in Britain with the name of Addleton, once again we are dealing with one of Watson's disguised locations. Given the high proportion of Holmes' cases that take place in the home counties the most suitable candidate for the place would seem to be the Surrey town of Addlestone, which lies some five miles to the north-west of Woking. But what of the '...ancient British barrow...'? Just across the Basingstoke Canal from Woking, in the direction of Addlestone, lie two Bronze age burial mounds. Although there are a number of Pre-Roman sites around Addlestone, these are the closest that have been positively identified as barrows. This of course assumes that the barrow in question is in the same area as 'Addleton', but we have no reason to think otherwise. Very little information exists on these harrows. The Surrey archaeological guide merely lists them as Bronze Age with no date or further indication of their age. From their size and shape it is unlikely that they contain a discrete burial chamber, bodies would have been buried in graves dug into the sides. No record exists of any formal investigation of either of the harrows. They were both dug into unofficially in the early years of this century but nothing of note was found in them. Although we have no further record of the Addleton tragedy it is possible that there may be a tale by another author that is loosely based on it. The ghost story 'A Warning to the Curious' by M.R. James was published some thirty years after the Addleton tragedy, and is set in the fictional town of Seaburgh, which James states is based on Aldeburgh in Suffolk. In it a young man called Paxton hears a local legend of a buried Saxon crown and sets out to find it. He does so and removes it from its hiding place but is then haunted by the ghost of a man who was its guardian in life and continued to guard it in death. Despite returning the crown to where he found it, he is eventually hounded to death by the vengeful ghost. The structure of the story rather than its plot is what interests us however. The tale is related by an unnamed narrator, who is holidaying in Seaburgh with his companion Henry Long and starts with them seated in their private sitting room in their hotel. At this point Paxton rushes in and proceeds to tell the tale of the crown and of its ghostly guardian. After hearing his statement, Long and the narrator set out to help him return the crown to its hiding place, and are later involved in trying, unsuccessfully, to prevent Paxton's death. The whole style of the story is that of a Holmes adventure. 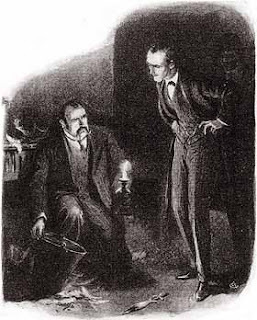 Although the characters of the narrator and Long are not those of Holmes and Watson, the style of the story, with its cosy sitting room start and the two companions helping a distressed client is purely canonical. Remove the ghost from the tale and substitute a mysterious mortal guardian, and we have a plot that would not be out of place in the canon. Remove the whole tale westwards to Baker Street, Addlestone and Woking and we have a convincing sequence of events for The Addleton Tragedy. How did MR. James come to use the events of the case for one of his tales? 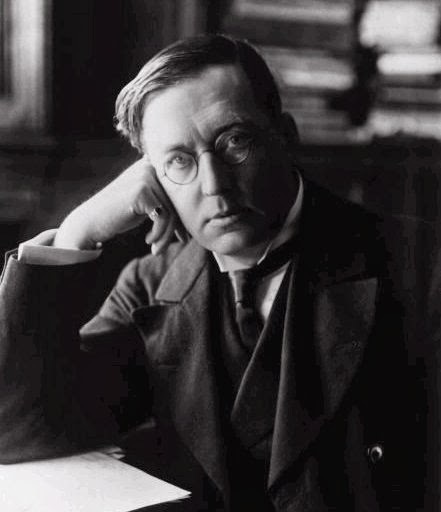 James lived and worked in Cambridge, where he was Director of the Fiwilliam Museum and successively Dean, Tutor and Provost of King's. Whether or not you have Holmes as a Cambridge man it is known that he visited the town on more than one occasion. It is not inconceivable therefore that Holmes and James could have met. A number of their fields of interest overlapped; James is described as a linguist, palaeographer, medievalist and biblical scholar. Holmes knowledge of the bible was rusty, but he too spoke and researched into several languages, and studied several aspects of the medieval era; its mystery plays, charters and music for example. Indeed, Holmes may have spent several weeks in Cambridge researching into old English charters during the Spring of 1895 (3STtJ). Given their common pursuits, James and Holmes would have had much to discuss, and it is probably during one of these discussions that the tale of the Addleton tragedy, a case with a background firmly rooted in antiquity would have come up. Like all good authors James would have no doubt stored a nugget like this away, eventually to be used in a modified form as the basis for a story, Holmes would have found it somewhat ironic that when the account eventually appeared it was as a ghost story. As a theory this is all rather tenuous, but it is difficult to read 'A Warning to the Curious' without seeing it as a tale of the master detective and his biographer friend hot on the trail of another mystery. If you doubt this, then read it for yourself! The Giant Rat of Sumatra has captured the imagination of Holmesians probably more than any other of the unrecorded cases mentioned in the Canon and as such it has been responsible for inspiring many pastiches. Throughout these tales the rat appears in many guises. In some it is a fearsome monster, or monsters and the tale contains many elements of fantasy or scientific romance; Sterling E. Lanier's 'A Father's Tale'1 is a good example, being similar in conception to H.G.Wells' 'Island of Doctor Moreau'. In other stories there is less fantasy, but even these fail to record the case using all of the information given to us in the Canon. The aim of this piece is to look at what information we are given and suggest a possible solution to 'The Adventure of the Matilda Briggs'. Morrison, Morrison and Dodd - This is the legal firm whose letter regarding the Sussex Vampire reminded Holmes of the Sumatran rat in the first place. They are described as a company that specialises in the assessment of machinery. Most pastiches conveniently ignore them. The 'Matilda Briggs' - This ship is obviously a key feature of the case. It should be noted that the name of the ship is probably a Watson pseudonym; it is significant that the daughter of the captain of the most famous mystery ship of all, the 'Marie Celeste' was called Sophia Matilda Briggs. 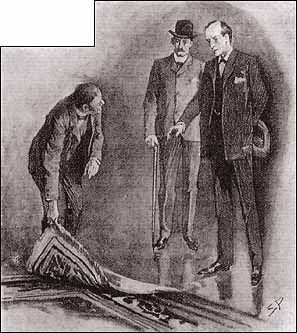 Watson's non-involvement - Holmes reminisces about the case to Watson, and the whole tone of the reminiscence suggests that Watson knows nothing of the case up to this point. If Watson was not involved we can date the case as occurring during one of two periods; 1878-1880 which is before Holmes met Watson, or c.1889-1891 when Watson was married and living away from Baker Street. The second of these two periods is most likely, as the involvement of Morrison, Morrison and Dodd suggests a more mature, more established Holmes. Note Holmes' sly suggestion that Watson assumes Matilda Briggs was a young woman. A nice touch from a man generally regarded as humourless. The giant rat of Sumatra - In at least two pastiches, no rat appears at all; but in most of the others some sort of fantastical creature is usually involved. 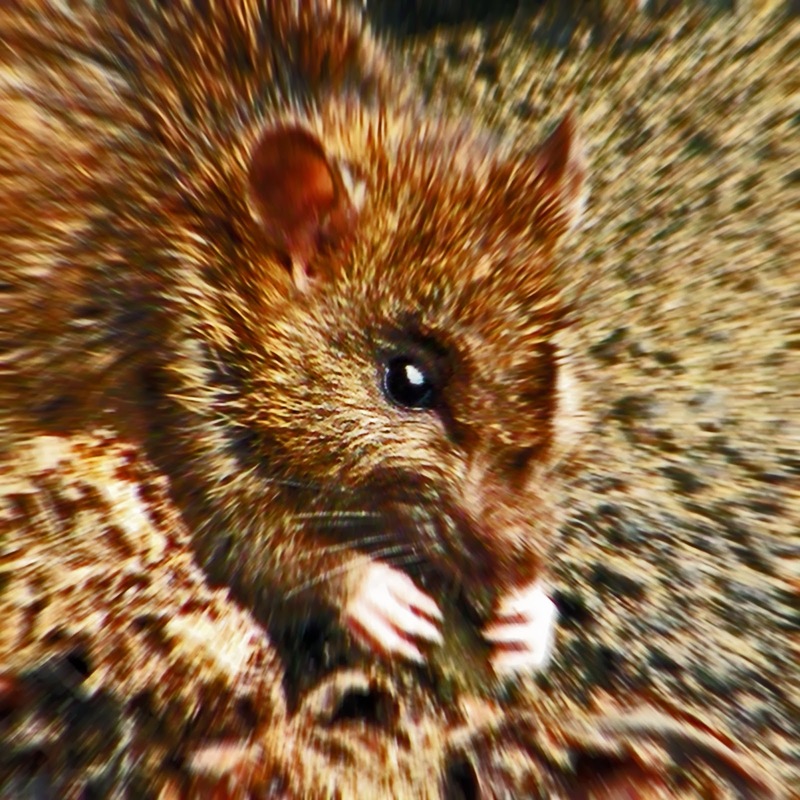 However from an Englishman's point of view, any rat larger than our own Black or Brown rats could be considered to be a giant. We need not look for monstrous creatures for nature has provided us with a perfect specimen: Rhizomys sumatrensis, the Great Sumatran Bamboo Rat. The length of this creature, excluding the tail, is some nineteen inches, which is twice the size of either the Black or Brown Rat; truly a giant. The world not being prepared - This feature is usually used to justify the more fantastical elements of an account of the case - we, the reader and the world of today are not prepared for the full details to be known. Holmes, however was speaking in 1896, the year of SUSS; the world of 1896 was not prepared. Perhaps we, the modern world, are prepared and perhaps we have had the true facts of the case under our noses the whole time, in of all places, another of Watson's narratives; one which also has a Sumatran connection. In DYIN Holmes fakes an obscure Asiatic disease and in doing so tricks Culverton Smith into confessing to the murder of his nephew, Victor Savage, by administration of the same disease. What disease was Holmes faking ? We are not told its name directly, but we may be given it in the story. When Holmes is trying to convince Watson of how little he knows of obscure diseases, he mentions one called Tapanuli Fever. Tapanuli is an administrative district of North West Sumatra, and Culverton Smith is a well-known planter from - Sumatra. It is probably more than coincidence that Holmes mentions a disease from the same area of the world that the man he is trying to trap comes from; Tapanuli fever is almost certainly the disease Holmes is simulating. Whilst in Sumatra, there was an outbreak of what we will call Tapanuli Fever on Culverton Smith's plantation. Cut off from any medical assistance, Smith studied the disease himself, with what Holmes describes as 'far reaching consequences'. What were these consequences? Consider the following idea. Culverton Smith, an amateur expert in disease, recognises the potential of the virulent, invariably fatal Tapanuli Fever as a weapon of destruction. He plans to return to London and make a further study of the disease using the superior facilities which would be available to him there. (As a digression, Watson mentions rows of bottles and jars in Culverton Smith's study which contained disease-causing microbes. One wonders how much danger money his housekeeper and maids were paid to dust them!). Somehow he must take specimens of the disease causing organisms back with him; ideally in as natural a state as possible. We know that Tapanuli fever is transmitted by being injected into the blood; the box that Culverton Smith uses to infect Holmes has a device similar to a viper's tooth to inject the microbes into the victim's bloodstream. This suggests that in its natural state the disease is transmitted by some form of blood-feeding insect or tick. The best way to transport these blood-feeding animals would be on their natural hosts; is it too much to suggest that the mammal that the Tapanuli Fever carrying insect feeds on is our old friend Rhizomys sumatrensis - The Giant Rat of Sumatra? From this it is not hard to conceive a scenario involving the ship 'Matilda Briggs' with an agent of Culverton Smith on board as a passenger and a secret cargo of crates containing Sumatran Rats. Tapanuli Fever breaks out on board the ship, the crew dies and various legal processes are set in motion. Morrison, Morrison and Dodd are called in, perhaps on some point relating to the ship itself; it is after all a piece of machinery. They investigate the cargo and find the crates of rats instead of more conventional Sumatran imports. Holmes is consulted and quickly clears up the mystery, at least as far as naming the agent and Tapanuli Fever as the joint villains. The true villain, Culverton Smith, escapes; Holmes can prove nothing. So well are his tracks covered that if Holmes were to attempt to implicate him, he would be accused of slander or libel. Holmes must bide his time and wait for Culverton Smith to make a mistake. All this takes place, as we have said, somewhere between 1889 and 1891. By 1896, the year Holmes mentions the case to Watson, Culverton Smith still remains at large. Thus Holmes does not regard the case of the Giant Sumatran Rat as concluded, and cannot relate it without slandering Culverton Smith. The world is not, therefore, prepared for the telling. Six years later, in 1902, we finally see the conclusion as described in DYIN. Once again we must digress at this point and briefly consider the date of DYIN. Most chronologists place it in 1890 based on information in it concerning Watson's marital status. However, one writer has shown conclusively that this case in fact took place in 1902; most of the internal evidence fits this date rather than the earlier one. There is not room to repeat the evidence here; suffice to say that it is convincing enough for this piece to be based on a 1902 date for DYIN. By this time Culverton Smith is back in London. His nephew, Victor Savage, dies of Tapanuli Fever and Holmes recognises it as the same disease as was involved in the 'Matilda Briggs' case. The fact that he has encountered the disease before also explains how Holmes knew exactly how to fake its symptoms; remember that he fools the world's greatest expert on it. The rest of the story you can read for yourself; Holmes' expert malingering succeeds, and after a delay of over ten years Culverton Smith, The Sumatran Devil, is finally caged. 1. Collected in 'Sherlock Holmes Through Time and Space'; Edited by Isaac Asimov, Martin H. Greenburg, Charles G. Waugh (Severn House). Many years ago I was a member of a number of Sherlock Holmes societies, and was occasionally guilty of the odd, small, monograph. The purpose of this blog is to collect these writings into one place so that anyone who might be interested can read them.